Looking for the best location to stay in Zagreb? We offer a wide variety of hotels on prime locations in Zagreb. Search for Zagreb City Centre Hotels. Most Zagreb attractions can be easily accessible on foot from the main ban Jelačić Square. That is why we based our selection on distances to Zagreb’s main square. We feature hotels which are either up to 1.5 kilometres away, or up to 10 minutes easy walking distance from the Main ban Jelačić Square. From the city centre, you have easy access to most of what Zagreb has to offer. Since most of Zagreb can be walked within a day the best place to stay is in the city centre. Don’t get us wrong, Zagreb is much more than its architecture. For the best experience, you have to browse through its attraction and live its culture. For the best local experience, you should consider going beyond the city centre and Zagreb itself. It all depends on how much time you have. Never the less the city centre is the best place to stay as you are in the centre of Zagreb life with easy access to it all! 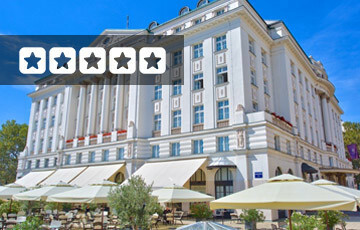 Esplanade Zagreb Hotel is Zagreb’s top hotel! The best thing it has a great location for exploring the city and offers great value. The Westin Zagreb has it all. Close to all Zagreb attractions, many features and activities are available. Perfect for all type of travelers and events. Recently renovated it now has fresh and modern designed rooms which offer great views. 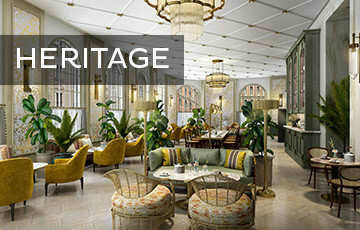 Amadria Park Hotel Capital is Zagreb's latest Heritage hotel. Located in the City Centre and close to numerous Zagreb attractions it offers a truly unique experience. 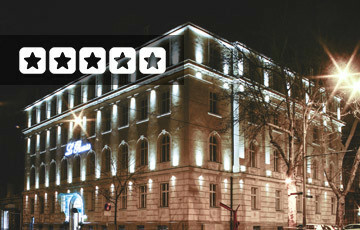 Boutique hotel Le Premier Zagreb is located within walking distance to the city centre. This hotel is one of the best hotels in Zagreb, housed in a 20th-century palace offering luxury at every step. Sheraton Zagreb Hotel is one of Zagreb’s finest hotels! Located in the centre of the city and close to most Zagreb attractions. Although categorised as a Business Conference hotel we rate it 5 stars and recommend it for families. Hotel Dubrovnik Zagreb is located in the heart of Zagreb, on the Ban Jelačić square. It is surrounded by major tourist attractions and numerous bars and restaurants. Palace Hotel Zagreb located in the center of the city. In an Art Nouveau palace dating from 1891. As a matter of fact, it is the first official hotel in Zagreb. Enjoy a superb location overlooking one of Zagreb's most beautiful parks. Best Western Premier Hotel Astoria is located in a quiet street in the centre of Zagreb. It is located to numerous Zagreb attractions offering comfort and a cosy atmosphere. Canopy by Hilton Zagreb is located in Zagreb City Centre and close to most Zagreb Attractions. The perfect hotel for exploring the city. You will discover shops, restaurants, culture and nightlife everywhere you go. Hotel Academia Zagreb is a modern four-star hotel located in lively Tkalčićeva Street in Zagreb. 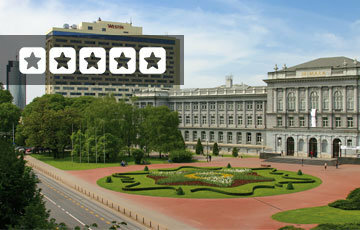 Hotel Park 45 is a 4-star hotel located in the city centre. Just 800 m from the Main ban Jelačić Square offering spacious rooms and parking. Hotel Jägerhorn Zagreb is simply amazing. It has free parking and a premium location as it is situated close to Zagreb ban Jelačić Square.